The Internet of Value is much more than a slick marketing slogan. It requires an enormous amount of seemingly-insurmountable work. It includes transforming the current components of the Internet that have evolved haphazardly over the years into a standards-based architecture where developers can easily build the next generation of value-aware applications. Since the company’s founding in 2012, Ripple has been at the leading edge of this effort, taking on the bulk of responsibility for carefully re-designing the plumbing that underpins correspondence banking, along with standardization of ledger-to-ledger communications using consistent Internet protocols. It’s taken years, but now the foundation for the next phase of progress has been laid, and its logical structure should simplify and accelerate international commerce - and the velocity of money - as it flows as fast as light travels through a fiber-optic cable. Is it any coincidence that the same company – Ripple – has championed the use of XRP? No. There is very little randomness in what Ripple does, and they’ve indicated that XRP is the most ideally-suited digital asset for transferring value across borders. In anticipation for a world of micropayments, they’ve updated the XRP Ledger with native Payment Channel capabilities that know no upper boundary of speed. So how does all of this fit together? I’ll get to that in a bit. It’s a heady description of a simple concept: An on-ramp for traditional investors. I’ve talked about the lack of involvement in the crypto market by traditional investment houses and traders in the past; for various reasons, many of them were viewing the action from the sidelines, attempting to get their bearings before carefully dipping their toes into digital assets. If exchanges like Archax are now being created with the exclusive goal of assisting these traditional investors with expanding their portfolio to include cryptocurrency choices, it’s a sign that the crypto market is now quite possibly entering a new phase; mainstream acceptance. The exchange will be a crypto-to-crypto exchange only, meaning that they will not handle any sort of fiat conversions; their exchange will not be an on-ramp or exit-ramp for fiat conversions, but is planned to support 30 different digital assets. 5 The company has not publicly released the full list of supported cryptocurrencies, but we’ll have to keep our eye on it; Line is a popular messaging application with a myriad of global users. Just for reference, the application currently boasts 70 million Japanese users alone. Line’s new exchange could significantly boost overall global crypto market liquidity by easing entry into the crypto markets for their existing customer base. Techcrunch recently covered the hiring of Andreessen Horowitz’s first female partner. Katie Haun’s background – and her new role within the venture capital firm – is noteworthy, because she comes from a regulatory enforcement background: She was a federal prosecutor with the US DOJ for ten years, and she was the lead on both the Mt. Gox and Silk Road investigations, both of which were successful. She’s also on the board of Coinbase. TechCrunch: What about conflicts? It’s very early days, so I wonder if the rules around backing similar companies are different. In traditional VC, obviously, it’s pretty much verboten. Chris Dixon: The norm in the crypto world is different than the traditional venture world. Typically in VC, you won’t invest in a direct competitor. But with crypto, there’s a different ethos. It’s more cooperative. People would rather grow the pie together rather than fight over the size of the pie. We always make sure that projects are okay with any investments that we’re considering that might be overlapping. But in emerging spaces, it’s hard to think about categories as it’s kind of fluid. I’d say standards are evolving, but I’d also say it’s okay to (back more than one currency, for example). This outlook by one of the co-leads of Andreessen Horowitz’s crypto fund is something for XRP owners to keep in mind as we learn about how many various, and sometimes-competing projects, that the venture capitalists are involved with. In addition, sometimes when you track a firm's investments, you can discover interesting connections and financial interests that may yield some powerful clues about future direction. And the answer from David Schwartz? “PolySign is a Bay Area startup which develops software solutions for institutional digital asset custody. 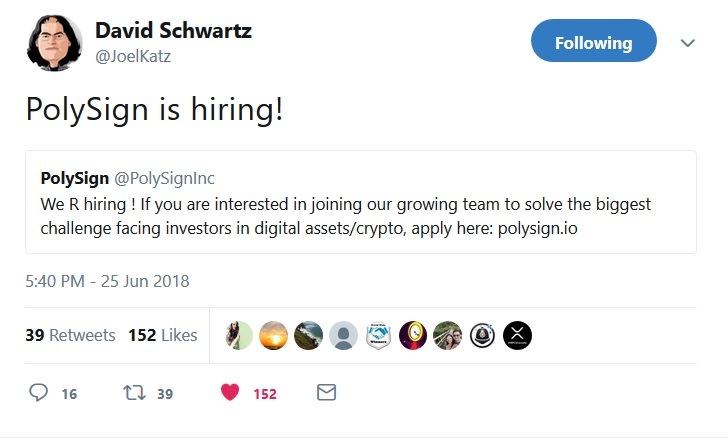 PolySign was founded in 2017 by a team of experts in both financial services and cryptocurrencies. On the business side, our CEO Jack McDonald was formerly CEO of Conifer Financial Services, a top-tier global financial services firm. Now that we know that David Schwartz is involved personally with the project, and given its ambitious goals, I am anticipating an incredible game-changing application or storage mechanism for digital assets, and specifically XRP. There’s a number of XRP wallets available currently, but I’m guessing that Polysign’s creation will go beyond the usual wallet storage functionality. One of the biggest annual fintech conferences is the one sponsored by TechCrunch in San Francisco each year. This year, the speaker list is something for the ages, and it includes both Brad Garlinghouse, the CEO of Ripple, and Ashton Kutcher, a noted celebrity proponent of Ripple’s charitable work. To date, this makes at least three major Indian banks - that we know of - that have joined RippleNet to process cross-border payments using xCurrent: Axis Bank, IndusInd, and now Kotak Mahindra. Ripple is clearly attempting to link all of the world's top remittance-processing countires using RippleNet and xCurrent; this is exciting due to the fact that xCurrent allows banks to immediately acheive a high level of savings, and usage of XRP for sourcing liquidity should eventually allow these same banks to acheive even more profitability. Championing new web standards is tough work. Even if it’s a proposal that makes sense and would benefit a multitude of end-users, there are many entrenched financial interests that are a part of the World Wide Web Consortium (W3C) that must weigh in on the idea. Browsers – and their conformance to international standards – is an elective process, but one in which most participants willingly comply to provide a competitively positive browsing experience for users. Users can choose to take their business elsewhere – whether it’s Microsoft’s Edge, Mozilla’s Firefox, Google’s Chrome, or Apple’s Safari. There are others as well, but those major players control most of the market here in the West. For a number of years now, Adrian Hope-Bailie has been working with the W3C to achieve a standard for web payments. 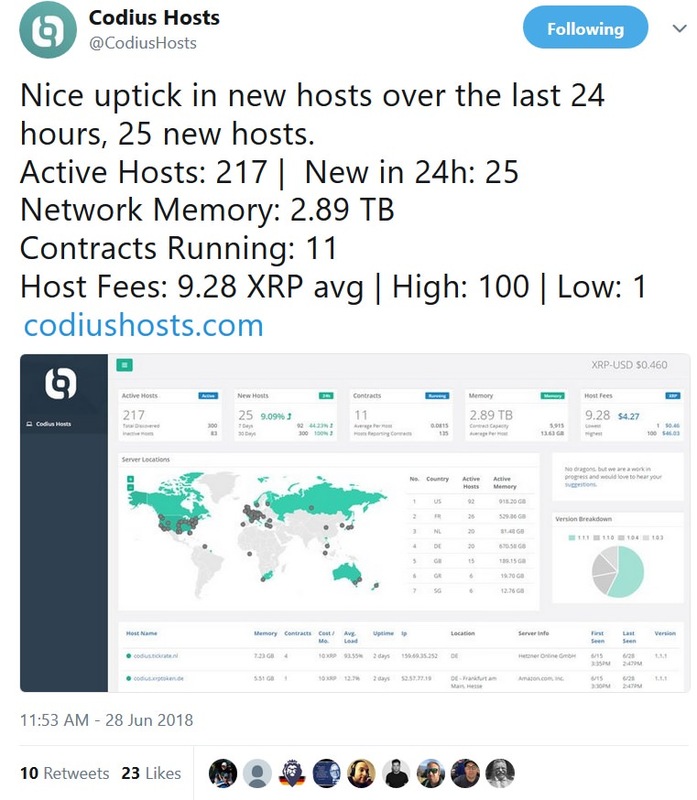 So how does this affect XRP? The image representing the “Native Payment App” can be a cryptocurrency wallet! In fact, it can be any platform-specific API. The browser negotiates a secure tunnel to the wallet application you’ve already configured within your browser. Even though there is still more work to be done before Coil has achieved its goals, the agreement between all parties on the Payment Handler API is a step in the right direction. "We want to take blockchain beyond financial,"Yoshitaka Kitao said. "There's a lot of speculative demand around cryptocurrencies, which is why the price is going up so quickly, but people need to think about how these technologies are being used in real life and how they can improve people's businesses." This pragmatic statement about real utility is what sets XRP apart from the others; while Bitcoin struggles with shrinking retail reach, XRP is looking into the future with massive use cases involving banks, remittance companies, and Internet Companies such as Coil and Omni. The remarks from SBI’s CEO reinforce the notion that XRP’s future volume sources will look much different – and much larger – than they currently reflect. On June 28th, SBI published a report that detailed recent business progress on several high-profile areas that intersect with the XRP ecosystem. That’s an estimated 8.5 million customers that potentially could flow direclty from SBI”s current customer rolls, not counting the new customers that will join the exchange. An exchange of this size promises to add significant volume the the XRP ecosystem. There are literally dozens of other examples, but you get the picture. 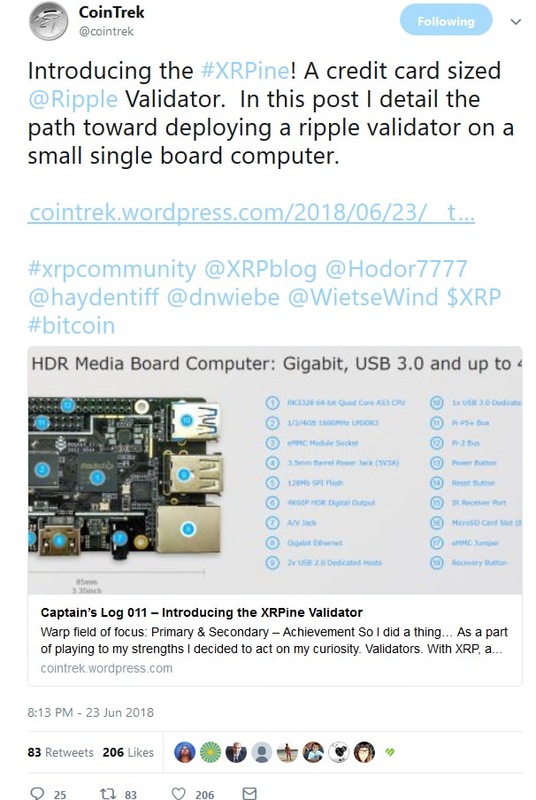 It just so happens that one member of the XRP community decided that it was time to create a Raspberry Pi Ripple Validator. PHP is still used in many sites, and it has a rich history of being the programming language for many sites that eventually transformed into viral Internet applications; at its beginning stages, Facebook was a PHP website. 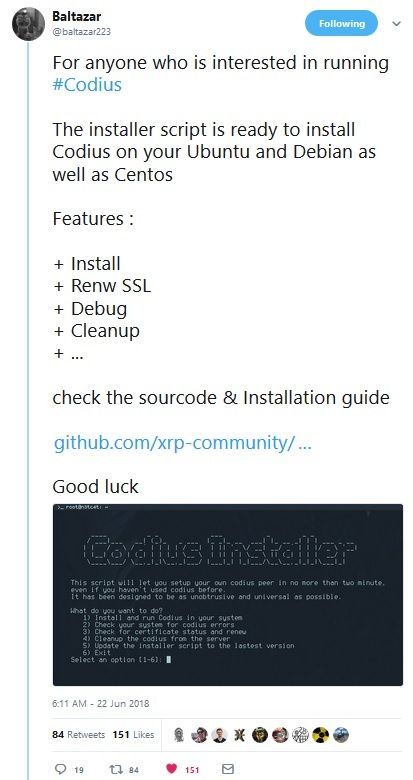 With his valuable contribution, there is no doubt that new PHP applications will be springing up that positively impact the XRP ecosystem. 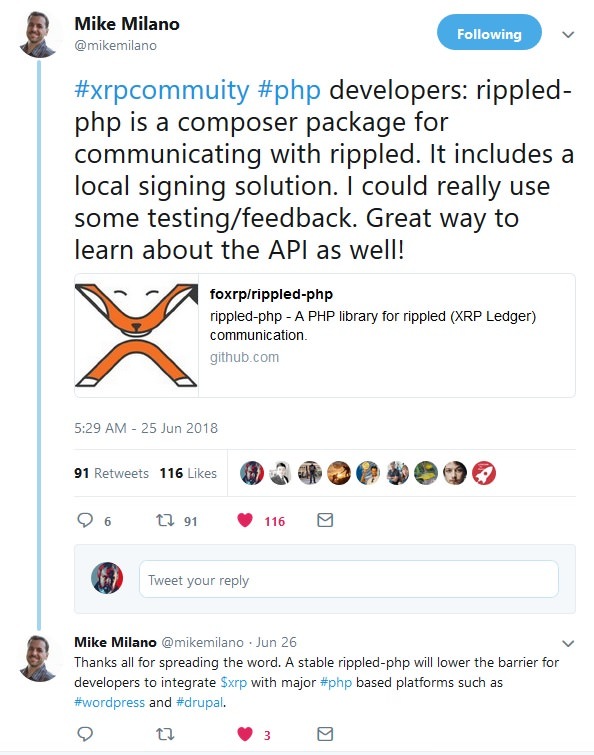 For those with independent Wordpress blogs, it's a simple way to allow readers to tip using XRP. 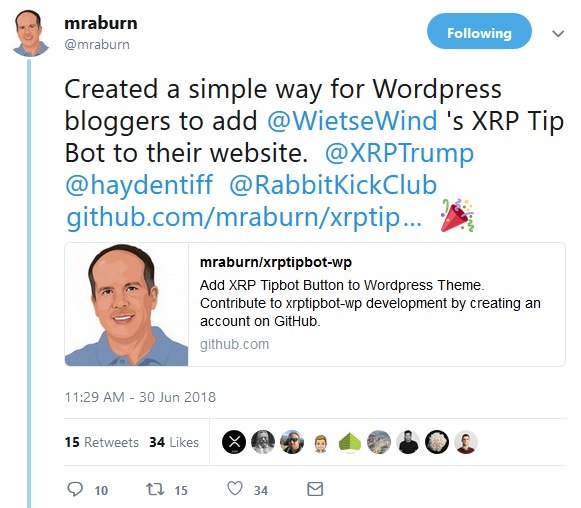 Kudos to @mraburn on his script; it will be interesting to see how many Wordpress sites end up with an XRP 'tip jar' at the end of their blogs. How do all of the building blocks fit together? We’re starting to see the patterns as the picture becomes more clear. 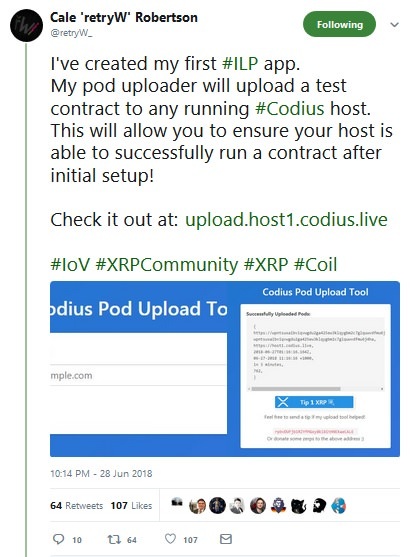 ILP was needed for Codius, XRP’s smart contract platform, to work in a way that exhibited maximum flexibility with no speed or settlement constraints. Just like ILP, it is not bound by the limitations of a specific ledger, and can scale horizontally to handle massive throughput of transactions. 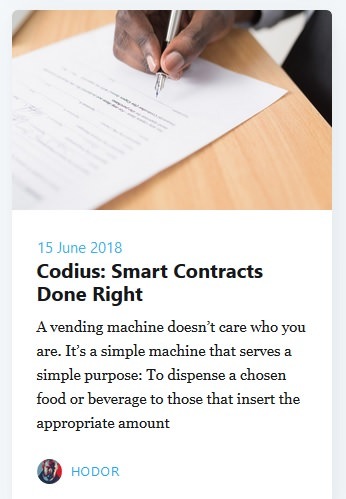 ILP laid the groundwork for Codius. 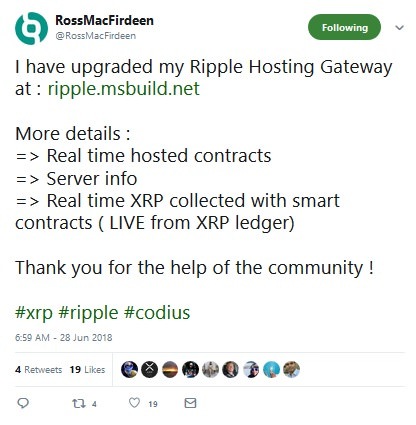 Ripple knew what ILP would do for its replacement of SWIFT, and they acted fast, quickly building out well-organized solutions that used ILP as the communication mechanism between banks. And now, with between 100 and 200 international banks – and two central banks – already signed on as customers, the picture is clear that this strategy was the right approach at the right time. To smooth the way for banks to transition to using a digital asset, Arthur Britto founded Polysign to create a custody solution. Now consider micropayments. The native support for Payment Channels was added a little over a year ago, before we knew about Omni, and before Stefan Thomas left to found his new company, Coil. This is no coincidence. And of course, most recently we see the approval of the Payment Handler API for use in browsers, which will make direct-to-crypto-wallet integration a reality for those browsing the web. I wonder which cryptocurrency will be able to support payment in the currency of the vendor’s choice most easily? Well, you can see where I’m going. And this is all just the start. Remember that Coil is working on the next part of the plan: The creation of a new Internet, where content can be paid for with micropayments from a web browser. With every news article about the building of the Internet of Value, I have to remind myself that progress takes time; luckily for XRP owners, the best companies in Silicon Valley are leading the way.